Saint Nicholas of Myra was a bishop who lived in Asia Minor (modern day Turkey during the 3rd and 4th centuries. A number of miracles are attributed to Saint Nicholas, and he also the patron saint of sailors, but he his best known in the West for his reputation of secret gift-giving, and for the fact that he is also patron saint of Christmas. 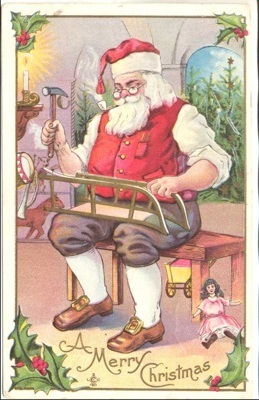 The historical Saint Nicholas was the inspiration for a character known as "Nikolaus" in Germany, and as "Sinterklaas" in the Netherlands, which formed the inspiration for Santa Claus.